Karanvir Bohra and his wife Teejay Sidhu, had a unique shopping-date at Phoenix Marketcity, Mumbai! The celebrity couple was spotted store-hopping across the extensive selection of fashion, food and lifestyle products at the mall as their unusual Valentine’s date unfolded. They visited stores like Aldo, Charles & Keith, Westside, Tommy Hilfiger, Simon Carter, Superdry and Steve Madden. 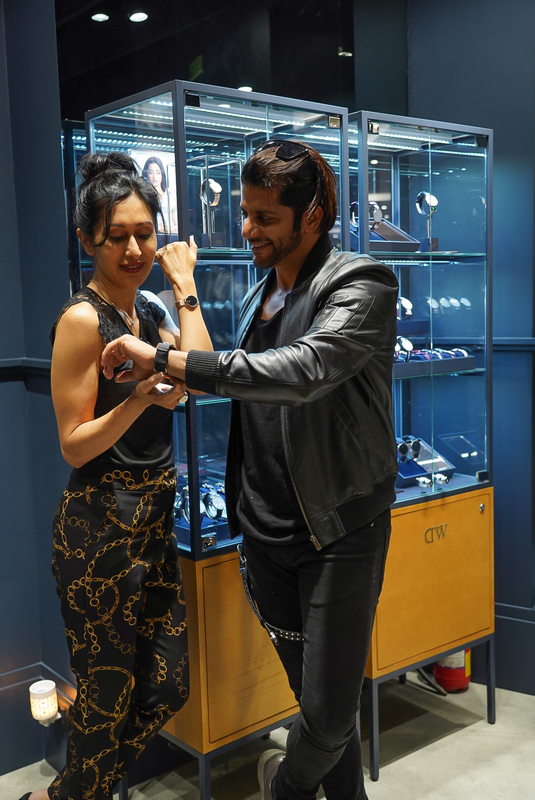 Teejay selected a watch for Karanvir at Daniel Wellington, while Karanvir chose the ultimate symbol of romance, a beautifully crafted ring from Swarovski, for his wife among a host of other gifts. Four reasons why “The Insiders – a TVF Original and MX Exclusive”, should be your binge this weekend! Alcohowl’s Pub Crawl reached over 2 lakhs digital users! CAST & CREW OF THE FILM “BLANK” CELEBRATE COMPLETION OF THE FILM AT “SIN CITY” stage lounge kitchen.